Here at La Vie Chiropractic, we have many different services to fit your specific needs. 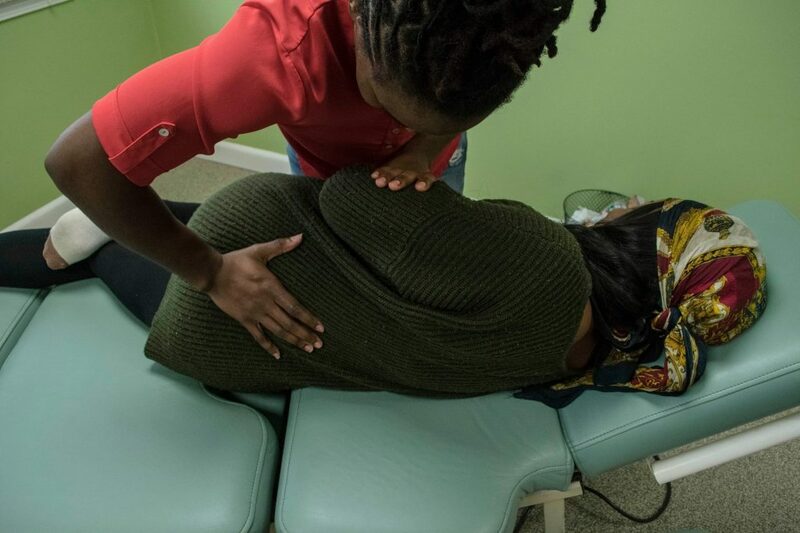 Whether you are experiencing back pain, feeling out of alignment, or are just looking to improve your health, we can help. Strategic application of kinesiology tape keeps athletes doing what they like best. The tape helps athletes get back in the game quicker after an injury. How the Tape works: KinesioTape ‘re-educates’ neuromuscular groups. Tape is placed in a specific pattern on the area of injury or focus. The secret is in the strength of the tape, combined with the pattern on the muscle group. The tape also coordinates with physical therapy to provide muscle control during exercise. Keeping the tape on after treatment reinforces the therapy. Many athletes use KinesioTape during practice and competition to support specific muscle groups. Especially after an injury, the tape helps avoid re-injury, and reminds the athlete of correct movement patterns. KinesioTape can be used for the following: Achilles Tendons, Plantar Fasciitis, Jumper’s Knee, Low Back issues, Rotator cuff, Postural correction, Pain associated with pregnancy, Shin splints, and Groin/Hamstring pulls.